The coordinator of the Open Russia opposition group, Vladimir Kara-Murza, is out of a coma, according to his lawyer. Earlier, Kara-Murza’s father doubted reports his son had been poisoned, blaming his grave condition on stress and past illness. “His heart function has almost restored, the hemodialysis is off and Vladimir can do without the artificial lung for periods of time, though the machine has not been completely switched off yet,” lawyer Vadim Prokhorov wrote on his Facebook page on Thursday. 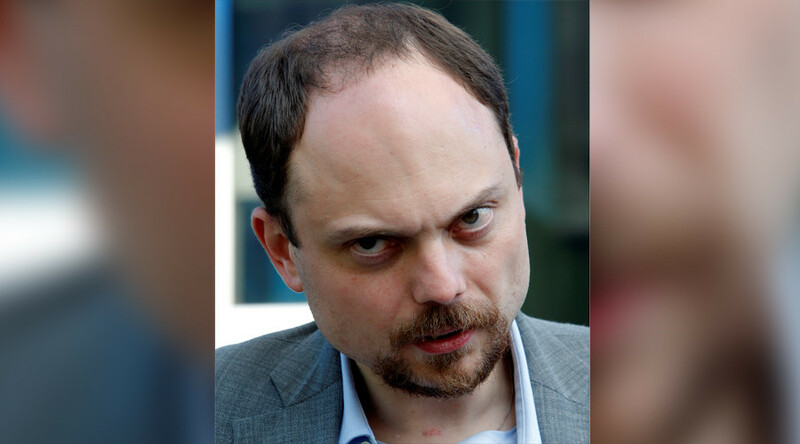 Kara-Murza was hospitalized on February 2 with symptoms of acute poisoning. Almost immediately afterwards, some Russian and foreign media started spreading allegations that he had been poisoned deliberately, referring to Kara-Murza’s wife and some of his political allies. The same sources also alleged that the attempt could be connected with Kara-Murza’s political activities – until December he occupied a high post in the opposition party PARNAS and he now works for the unregistered movement Open Russia, started by ex-oligarch Mikhail Khodorkovsky. However, the activist’s father, Vladimir Kara-Murza senior, said in a press interview last week that neither he nor the doctors treating his son believed his condition was a result of a murder attempt. “The doctors don’t think so, and I don’t think so either. If someone really intended to kill him this time they wouldn’t have allowed him to be driven to intensive care. It’s just that the poisoning that took place two years ago did not pass without consequences. My son’s health is weak and so is his immune system. Any common cold can be dangerous for him,” the elder Kara-Murza told Moskovsky Komsomolets daily. The father was referring to an incident in late 2015. In that episode, Kara-Murza was hospitalized with acute poisoning and also alleged that this could have been an attempted assassination, apparently connected with his criticism of the Russian authorities. He also launched a request to start an investigation into the attempted murder with Russian law enforcement bodies. However, the Russian Investigative Committee said after a preliminary check that the medics’ diagnosis did not point to deliberate poisoning and therefore there were no grounds to start a criminal case. Kara-Murza’s family then requested an examination from French doctors. Russian news agency BRC reported that these specialists concluded that even though Kara-Murza’s laboratory samples contained an unnaturally-high content of manganese, copper and some other metals, as well as an extremely low iron content, they could not confirm that this was a result of a deliberate poisoning or suggest the type of poison that could be used to achieve such an effect. On Tuesday this week, the Investigative Committee said it was conducting a new check into media reports of Kara-Murza’s alleged poisoning. No criminal case has been started so far. Kara-Murza used to be a deputy chairman of the Russian Party of People’s Freedom or PARNAS, best-known for its sharp criticism of the ruling United Russia party and President Vladimir Putin. 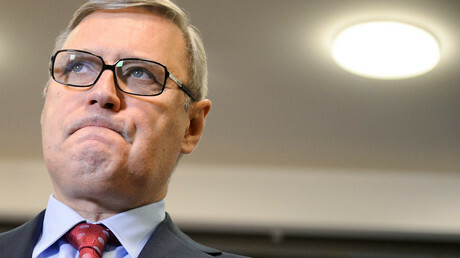 However, he and some of his allies left the party in December 2016 in protest of the policies of PARNAS’s leader, Mikhail Kasyanov. Kara-Murza currently remains a coordinator in the Open Russia movement – a loose and unregistered organization founded on the initiative of former Yukos oil chief Khodorkovsky.